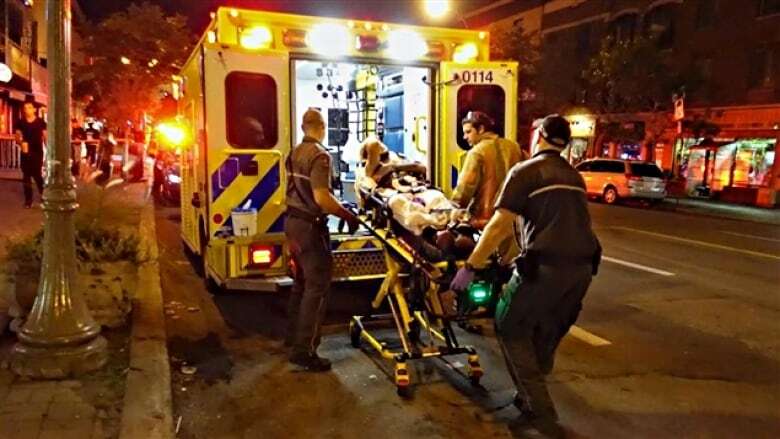 Results from Canada's first national survey looking at operational stress injuries among first responders such as police, paramedics, firefighters and 911 operators suggest they are much more likely to develop a mental disorder than the general population. "It's higher, and, surprisingly higher," said University of Regina psychology professor Nick Carleton, who led the team of researchers. The research team also found women were more likely than men to screen as positive for a mental disorder, especially among firefighters. "It may be that women experience these kinds of careers differently than men, it may be that women are more likely to report than men. It may be that there's another variable that we have failed to identify entirely at this point that causes or explains some of the differences between men and women." Carleton told CBC News. Symptoms of operational stress injuries also appear to increase with more years of service and more exposure to traumatic events. Those who reported being single were significantly more likely to report symptoms than those with a significant other and that despite having tough jobs with lots of shift work, "the divorce rates for correctional officers, police and firefighters are comparable to or lower than the general population." The survey also suggests an unexplained regional difference. Respondents from Eastern Canada were less likely to report mental health problems than those west of Ontario. First responders were screened for symptoms associated with post-traumatic stress disorder, depression, as well as social anxiety, panic and alcohol use disorders. The team also found statistically significant variations among the professions in terms of how they tested for different disorders. "Overall, it looks like our RCMP and our correctional and our paramedics may be reporting higher screening levels than say our provincial and municipal police and our firefighters and our dispatchers," Carleton said. The study said paramedics reported they experience very high rates of exposure to human suffering, for which they often feel responsible. In policing, the research team even found variations among officers, depending on where and for whom they work. "Municipal/provincial police may have more access to structural and social supports from consistent urban deployment," reads the report. "Whereas RCMP relocate frequently and often to rural areas, which would have less access to such supports. Municipal police are more likely to be deployed in pairs, whereas the RCMP are more likely to be deployed alone." Tom Stamatakis, president of the Canadian Police Association, said the research corroborates what he's long suspected. "We've had in my view in recent years, more and more suicides, more and more police officers unable to work due to mental health issues," he told CBC News. Moving forward, Stamatakis said the challenge will be to ensure all first responders have access to the right supports, no matter where they live. 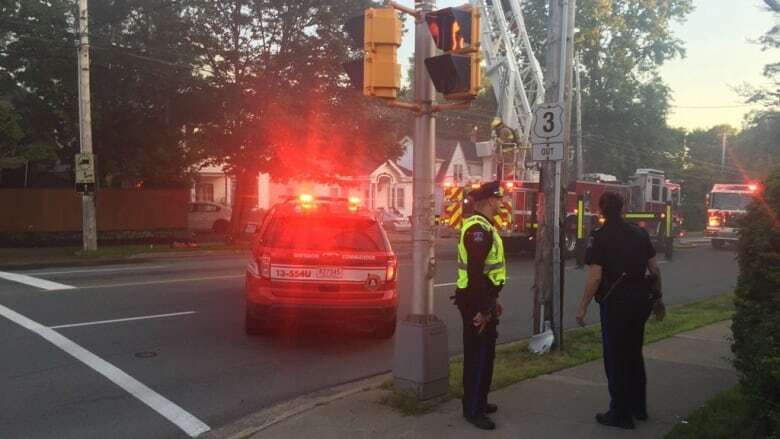 The work comes in the wake of a report by a House of Commons committee on public safety and national security that highlighted the lack of data on Canadian first responders and recommended a national survey. Federal Public Safety Minister Ralph Goodale, whose ministry includes federal corrections workers and the RCMP, is just one of many officials who encouraged employees to participate in the survey, with a video message to staff. In his mandate letter, Prime Minister Justin Trudeau asked Goodale to come up with a national action plan to address post-traumatic stress disorders among public safety workers. Carleton openly acknowledges the limitations of the work, given respondents chose to participate and even when guaranteed anonymity, people tend to underreport clinical symptoms. In addition, he says an online screening could never be as accurate as an in-person diagnostic interview. As for the idea that those who are most symptomatic would be more likely to choose to participate, Carleton suggested it is just as likely that those who are the most severely affected would not participate at all. For now though, it's the first uniquely national snapshot of the mental health of the country's first responders. "I haven't seen data produced like this certainly in Canada and I haven't been able to identify data at this size, scale and scope anywhere else in the world," he said. Going forward, Carleton said he hopes the data will help improve diagnostic tools, eliminate stigma and ultimately improve better mental health support to those who help keep Canadians safe.